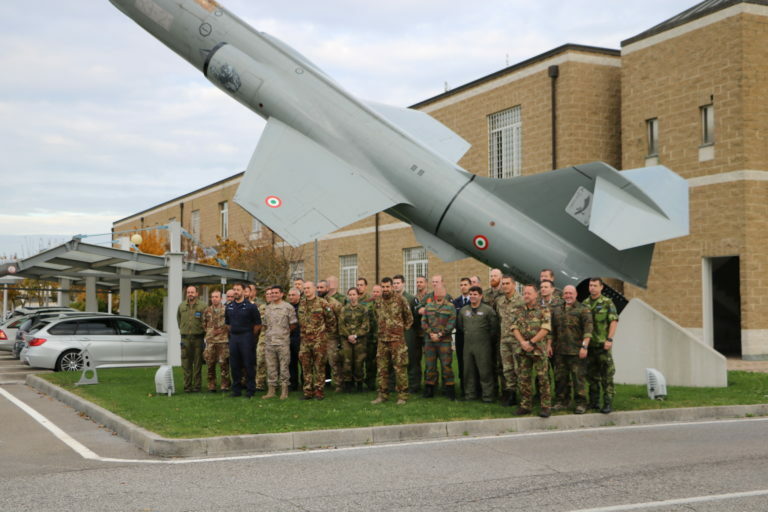 On the 24th of November 2017, after eight intense days of work, the 13th edition of the European Defence Agency (EDA) Joint Personnel Recovery Staff (JPRS) Course came to its conclusion. The EPRC, as a close partner of EDA in the field of PR, was the organiser and host of this fully revised course within the EDA PRCPC project framework. The Course, successfully conducted from the 15th until the 24th November, gathered 19 students from 8 European Countries (Belgium, Cyprus, Germany, Italy, the Netherlands, Norway, Spain, Sweden) and received the support of experienced PR instructors from Sweden, Germany, Italy and the EPRC itself.The new program aims to train a specific audience (e.g. personnel involved in PR operations) in Personnel Recovery (PR) related matters. Moreover, it offers more time to focus on particular subjects and challenges in the world of PR to achieve better training results. 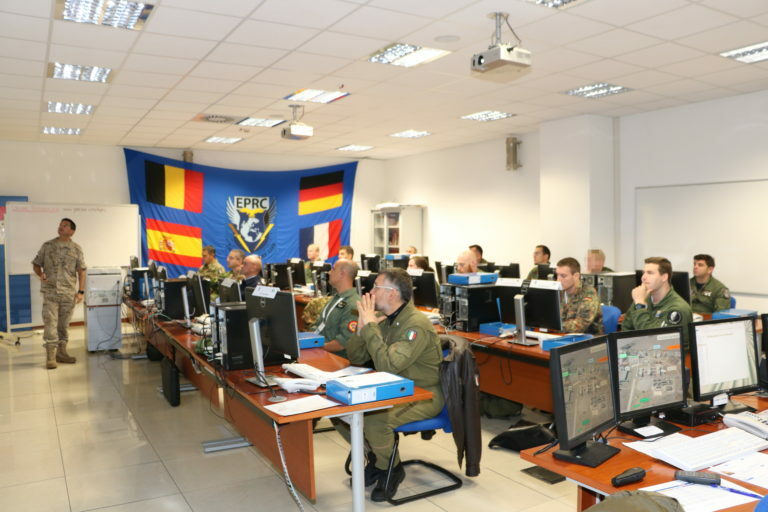 A preliminary e-learning activity utilising the EDA’s e-learning SERE tool, prepared students with a consolidated knowledge basis and, not less important, saved time and resources.The JPRSC is part of the EDA’s Personnel Recovery Controller and Planner Course (PRCPC). The EDA project was established on 30 May 2013 as an EDA Category B project under the lead of Sweden. As of today, it includes eight contributing EU Member States (cMS): Austria, Belgium, Cyprus, Germany, Hungary, Italy, The Netherlands and Sweden. The project has been extended three times and will now be finalised on 30 May 2019. The next EDA JPRSC will take place at Karlsborg, Sweden from 12th to 22nd March 2018 and will be organised by the Swedish Armed Forces. 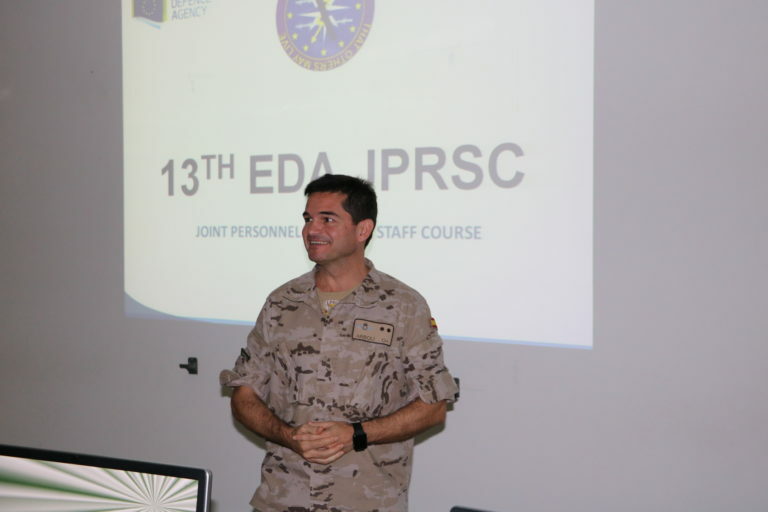 0 responses on "13th EDA JPRS Course – Closing news"